A balance must be struck between making the Central Provident Fund (CPF) scheme flexible and keeping it simple, says the panel looking at ways to improve the compulsory savings plan for working Singaporeans and permanent residents. "We need to... provide more flexibility to cater to different needs," said Professor Tan Chorh Chuan, chairman of the CPF advisory panel. "But at the same time, we need to try to simplify the system further so that it's easier to understand and easier to implement." He was speaking to reporters yesterday after a focus group discussion with about 40 beneficiaries and volunteers from the Chinese Development Assistance Council (CDAC). 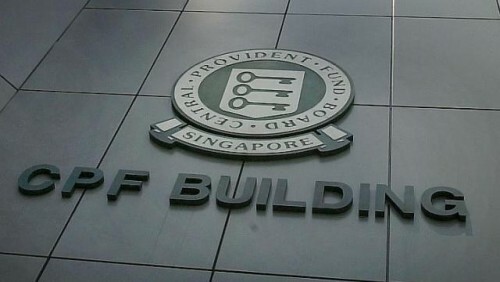 This is the eighth such discussion organised by the 13-member advisory panel, which was formed to study potential changes to the CPF system. About 350 people have taken part since the sessions started in November last year. At yesterday's session, participants discussed the conditions under which people could be allowed to withdraw more CPF savings as a lump sum at the age of 65, on top of receiving monthly payouts. Most said there should be a cap on the amount that can be withdrawn, so that there is enough left over to support them later on. Currently, those who turn 55 can withdraw their CPF savings after setting aside the Minimum Sum, which is now $155,000. They get monthly payouts from age 65. Those who cannot meet the Minimum Sum can withdraw only $5,000. Prof Tan, who is also president of the National University of Singapore, said participants were "very practical... and have a very good understanding of the trade-offs". Most of them, for instance, were willing to accept lower monthly payouts if they withdrew more of their CPF savings, thus leaving less money in their accounts. He also noted that many participants preferred the option of having payouts which may start lower but increase over time, as they understood that the value of a "flat payout" would fall with rising costs of living. CDAC executive director Goh Chim Khim said that conducting the session in Mandarin, a language that the Chinese are familiar with, had helped to give participants a better understanding of the CPF scheme. "With discussions held in groups, there is also some reinforcement of what they have learnt," Mr Goh said. One participant, part-time waitress Ng Yoke Kwan, 51, said in Mandarin: "I heard contradictory information from other people previously, but now I know more about the CPF scheme. "I've also given more thought to planning for my retirement." The panel is expected to submit its preliminary recommendations to the Government this month.